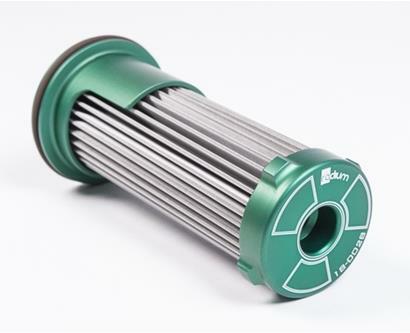 The Radium transmission filter was designed specifically for the GR6 transmission found in the 2007+ Nissan R35 GT-R. Unlike the OEM filter, the element is made from stainless steel wire mesh and can be cleaned and reused for a lifetime of service. The 40 micron element is also pleated, creating 5 times more surface area for longer service life. The unique internal bypass valve uses a progressive disc mechanism and was developed to work efficiently with stock or heavily modified applications. 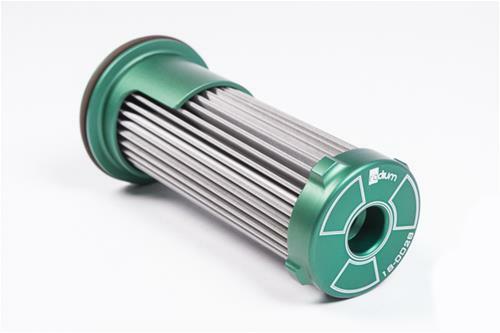 Like OEM, the Radium filter includes an integrated diffuser that evenly distributes oil flow over the entire element.